This year, rather than updating the running list of the most vegan-friendly cities I’ve had for the last couple of years (and published in my book – click here to find out more about my vegan travel guide), I wanted to do something a little bit more numbers-based. You can find lists of the most vegan friendly cities in Europe and the world based on the number of vegan restaurants in the city. So, I decided to use a slightly different metric. I calculated the vegan restaurants per capita (that is, the number of 100% vegan restaurants listed on Happycow per 100,000 people in the city). This is, of course, not a foolproof method of measuring a vegan friendly city. Some cities might have a huge number of vegetarian, but not vegan, restaurants. Or they might have a lot of restaurants with vegan options. I couldn’t measure all the cities in the world, either, so I had to rely on several lists of vegan friendly cities, a list of the cities with the most vegan restaurants, and lists of the biggest and most visited cities in the world, to calculate this. However, I think this is a good starting point. This list shows you the cities that have a high proportion of vegan restaurants in comparison to population, which also means you’re likely to see a lot of vegan restaurants just walking around. For each city, I’ve linked to the best guide I could find online, written by a vegan blogger, plus a recommended vegan-friendly or eco-friendly place to stay. You might notice some cities you’d expect to find on a vegan-friendly city list — such as NYC and LA — missing. That’s because in comparison to the population, their vegan restaurants per capita are actually lower than the other cities on this list. Yes, New York has a lot of vegan restaurants, but also a big population to match. And in comparison to its population, it just doesn’t match up to the vegan restaurants per capita in Portland, Austin or Warsaw. The first year I made this list, back in 2015, I only chose 10 vegan friendly cities. After several years of huge growth in the number of vegans and vegan restaurants around the world, I couldn’t narrow it down to just 10 cities. The world is becoming more vegan-friendly than ever, and these 25 cities, some of them unexpected, prove it. The smallest locale on our list, the town of Ubud has only 30,000 residents, meaning its number of 43 restaurants per 100,000 residents is inflated by the calculation (in fact, the town ‘only’ has 13 completely vegan restaurants). However, having thirteen 100% vegan restaurants in a town of 30,000 people is very impressive. As a hub for tourists and digital nomads, Ubud is very vegan-friendly. Since it’s in the tropical paradise of Bali, you can of course find tropical fruit galore, as well as a variety of vegan-friendly restaurants and the Bali Vegan Festival. Try the raw vegan tacos with fermented tofu cheese at Divine Earth (not in Ubud but worth a visit if you travel outside the city), a vegan crepe at Earth Cafe and Market or design your own smoothie bowl at Alchemy. Find out more: vegan Ultimate Foodie Guide to Bali by Elsa of Elsa’s Wholesome Life who was based in Bali. Chiang Mai has a reputation as a haven for digital creatives and eco travellers and as a result, boasts a big vegan scene. 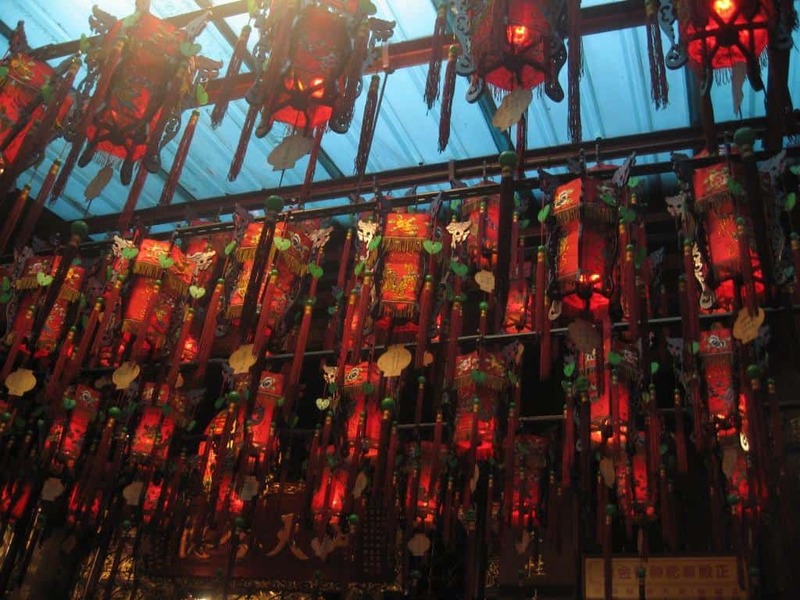 Take a vegan cooking class at Mai Kaidee, enjoy a fermented mushroom sausage at Pun Pun or visit the city during the annual Vegetarian Festival for widely available vegan food. 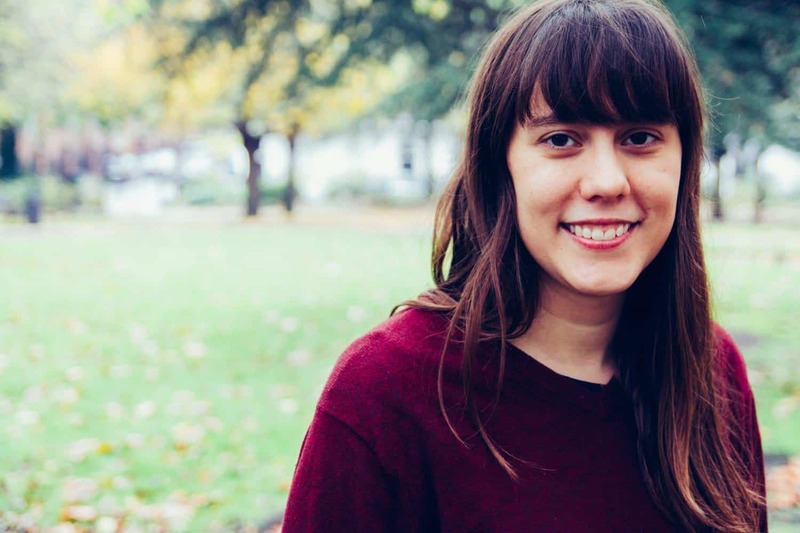 To find out all you need to know during your story in Chiang Mai, check out Dee’s site Veggie in Chiang Mai — Dee lives in Chiang Mai and updates her site regularly as a resource for vegans in Chiang Mai and Thailand. Find out more: Mostly Amelie’s Complete Vegan Chiang Mai Food Guide. Israel has become massively vegan-friendly in recent years, and the country now boasts the highest percentage of vegans in the world. With over 400 vegan and vegan-friendly restaurants, alongside a cuisine that has plenty of naturally vegan options, you’re in for a treat. Dine on Georgian-inspired food (the country, that is, not the US state) at Tenat, an all vegan Ethiopian restaurant, or order sweet potato quiche with walnut cheese at Anastasia. At Zakaim, a farm-to-table restaurant, the focus is on fresh, seasonal vegetables, and if it’s in season when you visit, try the burnt aubergine (eggplant), served with tahini and homemade challah bread. Where to stay: The Sheraton is vegan-friendly and offers vegan options in all its vegan restaurants, room service and breakfast buffet. Located on the beachfront, the Sheraton has Mediterranean sea views and all rooms are air conditioned. Check the latest prices and availability here. Find out more: Read the Love Wild Live Free guide to the Best Vegan Food in Tel Aviv. Portland’s well-deserved and long-standing reputation as a vegan heaven continues in this city, where nearly every eatery offers plant-based options. Portland even boasts a vegan mini-mall! There, you’ll find a vegan clothing store, food shop, bakery and tattoo parlour. At Homegrown Smoker, you’ll chow down on vegan barbeque. Head to Vtopia Cheese Shop and Deli for vegan cheddars, bries or cheese platters. If you’re after vegan fine dining, don’t miss upscale vegan restaurant Blossoming Lotus, where you can dine on almond ricotta bruschetta and roasted delicate squash tacos. Where to stay: The Portland Vegan Guesthouse has two affordable rooms in an all-vegan shared space in one of the most vegan friendly cities in the US. The host provides complimentary tea, coffee substitute and non-dairy milks and creamers. Of course, having a vegan host means you can get all the local vegan tips! Find it here on Airbnb. New to Airbnb? Click here to get $25 off with my referral code. Find out more: Don’t miss the Portland Vegan Guide put together by Food Fight!, a vegan grocery store in Portland. Picture a tropical paradise with clear blue waters and white sand beaches surrounded by mountainous cliffsides jutting into the water. You might just be picturing Phuket, pictures of which have become screensavers around the world. A mountainous island, Phuket has many of Thailand’s most popular beaches and in additional to the tropical fruits you might imagine eating on the beach, its capital Phuket City is also home to many vegan restaurants. Like Chiang Mai (see above) it also hosts the annual Vegetarian Festival. At Phuket’s Vegetarian Festival, you’ll find plenty of vegan food and, if you can stomach it, see various acts of self-mutilation and piercing in worship. Street food stalls spring up selling vegan food all around the city. If you’re not visiting during the Vegetarian Festival, head to Sai Than Boon to try their vegan ‘fried egg’ or a vegan Thai buffet such as Hesan Vegetarian or Mae Orethai. The sunny capital of Portugal, like many cities, has become much more vegan-friendly in the last few years, with many vegan restaurants opening. It now boasts two dozen. 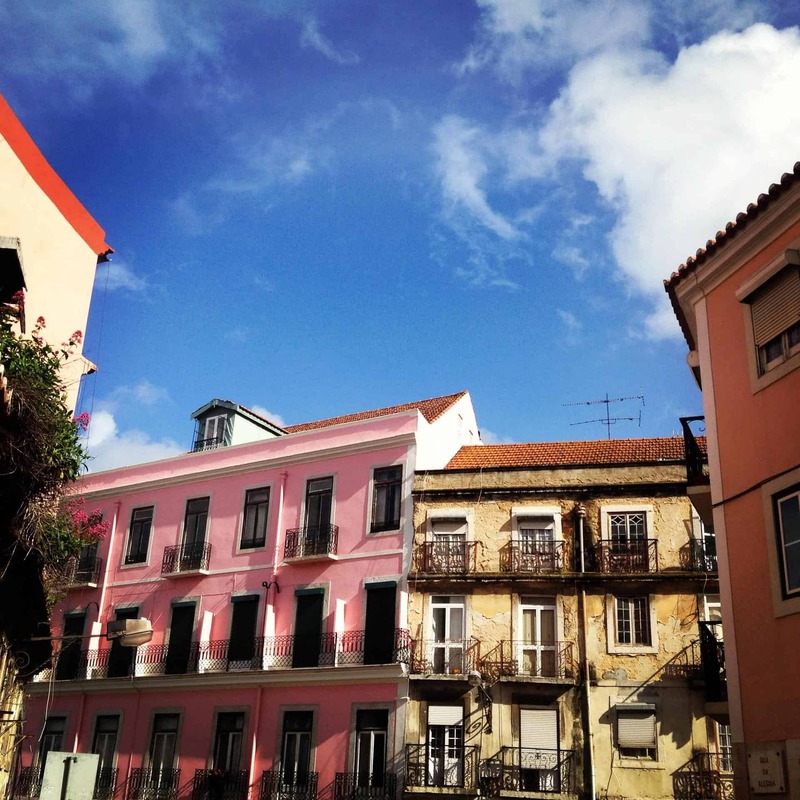 You can even enjoy vegan pasteis de nata (a famous egg custard tart) from Zarzuela or Princesa do Castelo while wandering the streets admiring Lisbon’s colourful architecture. In December, I went to Amsterdam for a friend’s wedding and stayed for a week to explore the vegan scene. I was absolutely bowled over by the food I ate there. Not only was it really easy to find vegan restaurants (I seemed to keep stumbling upon them as I explored the canals), but the attention to detail, sourcing of quality produce and careful thought about balancing flavours and textures produced some of the best food I had all year. Have the freshly made, still-hot pitta with hummus at Hummus House, the fried tempeh and avocado sushi at Caribbean-Japanese fusion restaurant TerraZen or a bowl of the house ramen at the most unique restaurant I’ve seen in awhile, the all vegan ramen restaurant Men Impossible. For a more traditional experience, try the hagelslag (traditional Dutch breakfast of sprinkles on toast–yes, it really is a popular breakfast with children and adults alike!) or the roze koek (pink cake) at Beter & Leuk, or get a cream-filled tompouce cake at Dutch Weed Burger Joint. Where to stay: De Bedstee Hotel is a vegetarian boutique capsule hotel. Like capsule hotels, it makes use of limited space to provide well-designed and small budget sleeping areas; however De Bedstee does it in vintage Dutch style (featuring old-style Dutch beds). All food served onsite, including breakfast, is organic and vegetarian, with vegan options. Click here to check the latest prices and availability. Find out more: my vegan Amsterdam guide covers everything you’ll need to know! 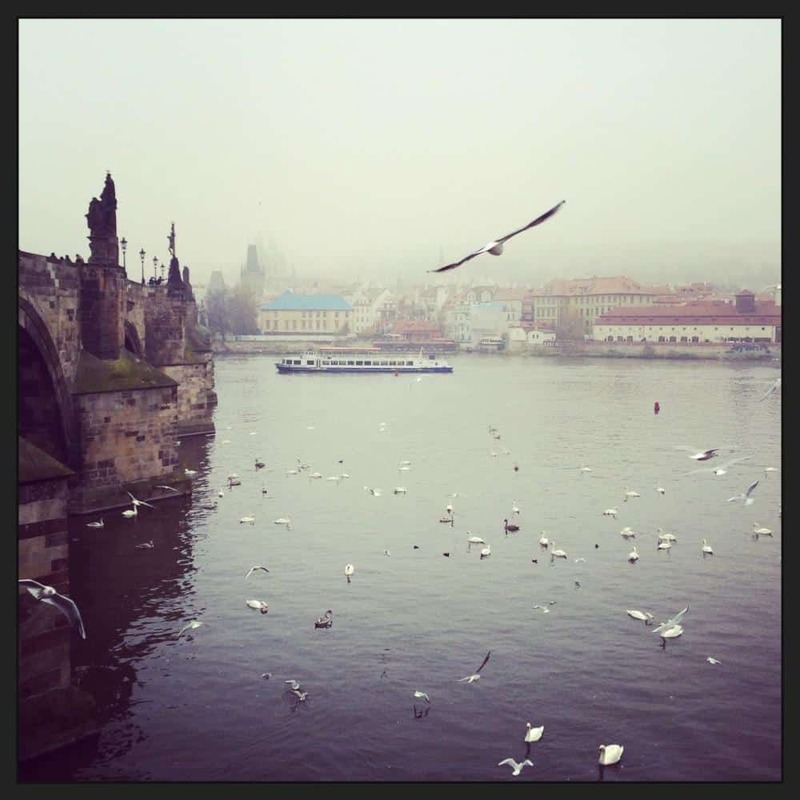 The beautiful city of Prague appears much higher on this list than even I expected. When I visited a few years ago, it was fairly easy to eat vegan but these days, it’s extremely popular, with over 50 vegan restaurants in the city! Moment was my favourite find when I was in Prague, and it’s still going strong. A very cute vegan cafe, they have coffee, cake and brunch/light food options such as leek tart or vegan scrambled eggs. Not just a rainy city with good coffee, Seattle is also incrediby vegan-friendly. While Portland’s spot at number 4 probably didn’t surprise anyone, Seattle coming out ahead of Los Angeles and New York (which didn’t even make the top 25) might come as a surprise. However, relative to population, Seattle has a lot of vegan restaurants! From classic diner food veganized at Wayward Cafe to the Instagram-ready Plum Bistro (and their most famous dish, spicy cajun mac and cheese), Seattle has vegan spots to suit everyone. Find out more: the Seattle Vegan site is full of information on vegan friendly restaurants, events and more. Paris might have a reputation for being one of the least vegetarian-friendly cities in the world, but the French capital is changing. From veggie burgers at Hank’s to healthy vegan fare at Cafe Ginger, Paris is becoming more plant-based. For a treat, check out the Gentle Gourmet for high-end vegan dining; their vegan lasagna with homemade cashew cheese is extremely popular, and they were one of the first places to make vegan macarons! If you love French pastries, then you MUST visit VG Patisserie, an all vegan traditional French pastry shop. Where to stay: Chambres de la Grande Porte is a B&B in the 10th arrondissement where you can have organic vegan breakfast on request. 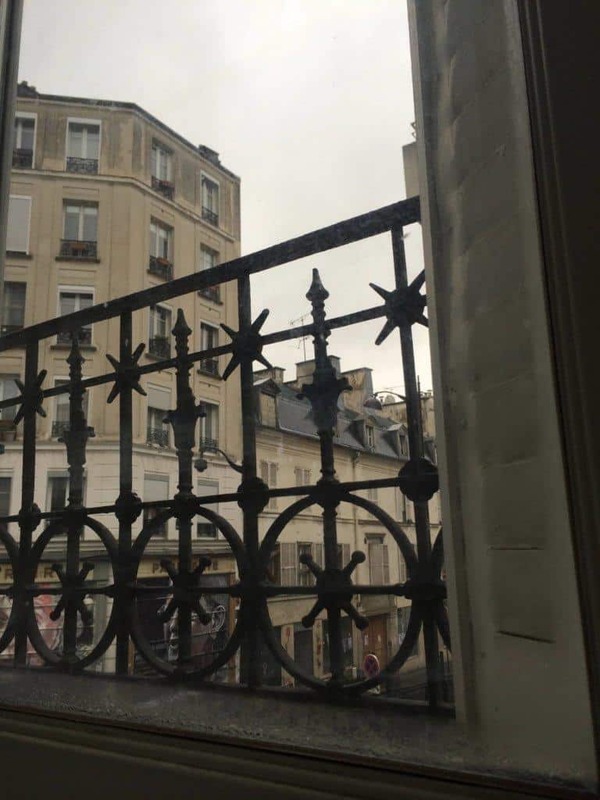 It’s near the 9th arrondissement which has been nicknamed Paris’s Veggietown because of the concentration of vegetarian and vegan restaurants here. Click here to check the latest prices and availability. Find out more: Be sure to save the Green V’s Mini Travel Guide to Vegan Paris. Moving beyond its Soviet history, Warsaw has embraced the plant-based movement, with more than 40 completely vegan restaurants. Grab a burger at Krowarzywa, described by a reviewer on Tripadvisor as the “best burger ever” and on Youtube as “the best vegan burgers in Europe”, or feast on a vegan version of traditional Polish and Eastern European food like pierogis, blini and borscht at Vege Bistro. Treat yourself to a bottle of red after dinner at the all-vegan and organic wine shop Solvino Bio. Where to stay: Sound Garden, a hotel near the airport, is eco-friendly and offers competitive rates. Water at the hotel is from sustainable sources including recycled rainwater and the hotel uses energy-saving technology too. 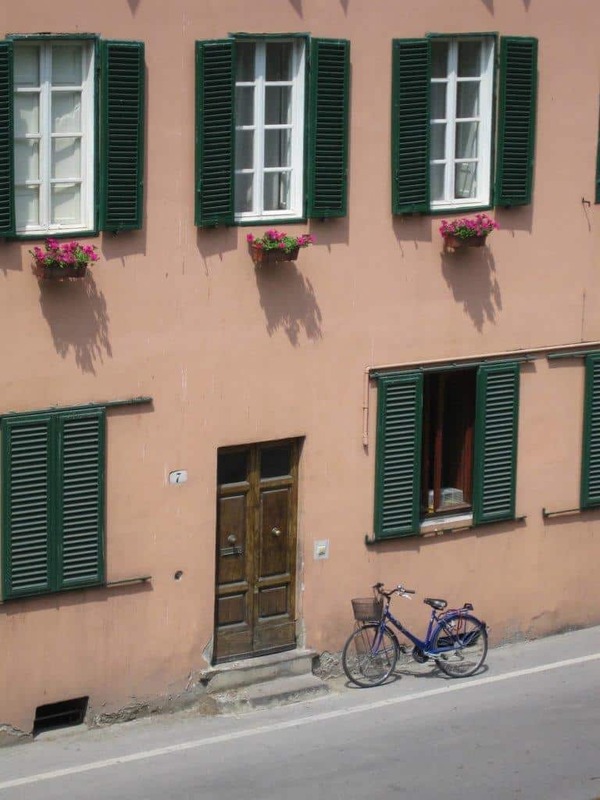 All rooms have free wifi, a flatscreen TV and a bathroom with underfloor heating. Click here to check the latest prices and availability. Find out more: Check out the Foodie’s Guide to Eating Vegan in Warsaw on Vegans with Appetites. WIth a motto like ‘Keep Austin weird’ it’s no wonder this quirky city is so vegan-friendly. How do you choose between vegan food trucks, vegan comfort food at Counter Culture or Capitol City Bakery for vegan cheesecake and cookies? In your time in Austin, you might just find yourself having to prioritise just which of the many vegan eateries in Austin to eat at! Montreal doesn’t always come up in the top vegan cities lists, but after meeting with a vegan friend and former colleague who lives there now a few months ago and hearing her descriptions of all the vegan food in the city, it doesn’t surprise me to find it on this list. Don’t miss the inventive vegan sushi at 100% vegan Sushi Momo, which I’ve always heard rave reviews about. When I went to Stockholm a few years ago for work, I was surprised not just at the vegan-friendliness of the city but the vegan-friendliness of its residents. At the time, veganism hadn’t exploded in London like it has in the last few years, and mention of being vegan was often still met with eye-rolling or sighs and exclamations from the person in question about how they didn’t want to eat a vegan meal (not that it never is these days, but that’s becoming more and more rare). In Stockholm, on the other hand, my colleagues went above and beyond to find vegan restaurants to take me too and they were all more than happy to eat vegan while I was there. Don’t miss the vegan ma po tofu at Lao Wai, an all vegan Chinese restaurant. And be sure to break for fika (coffee and cake) as is traditional mid-morning in Stockholm, and have a kanelbullar (cinnamon bun) at Naturbageret Sattva, a vegan-friendly bakery. Satisfy your junk food cravings with vegan chicken waffles at Hogtown Vegan or vegan pizza and doughnuts at Apiecalypse Now! Or if you’re looking for healthier fare, check out Rawlicious, which serves healthy, organic and raw vegan dishes, such as pad thai made with zucchini and kelp noodles. Toronto is also home to the largest vegetarian festival in North America, Veg Food Fest, which takes place on the 8th to 10th of September, 2018. Save the Ultimate Toronto Vegan Guide on Justin + Lauren (whose home base is Toronto most of the year). Voted by PETA as the most vegan-friendly city in the UK, Glasgow is home to multiple vegan bars and pubs. Get a pint and vegan grub at vegan bars Mono or Stereo, a full cooked breakfast or sandwich at Soy Division. You can even get a vegan version of haggis (a very non-vegan Scottish dish) with the vegan haggis fritters, which come with chips, pea and mint puree and tartare sauce at Saramago Café. Where to stay: The Blythswood Square Hotel is one of the most eco-friendly hotels in the UK, with rainwater use, solar roof panels and geothermal heating. It offers a luxurious stay in a historical setting (the 1823 building was formerly home of the Royal Scottish Automobile Club). Click here to check the latest prices and availability. Find out more: Save PETA’s Vegan Guide to Glasgow to your favourites. Turin’s vegan mayor announced plan’s to make the city a ‘vegetarian city’ in mid-2016, which includes a Meat-Free Monday and a city-produced ‘veg map’. The city now has more than 20 fully vegan eateries and vegan croissants are available in quite a few cafes. Grab gelato at the all-vegan gelateria Il Gelato Amico, homemade ravioli at laidback Ristorante Veg & Veg or drinks and vegan snacks at Gorilla bar. Don’t miss out on Sam of Indefinite Adventure’s Guide to Eating Vegan in Turin, which includes important information on vegan croissants! Berlin is fast becoming known as one of the best cities in the world for vegans. With 26 fully vegan restaurants and counting, Berlin has something that will suit all tastes – from raw and healthy Rawtastic to vegan creperie Let it Be. 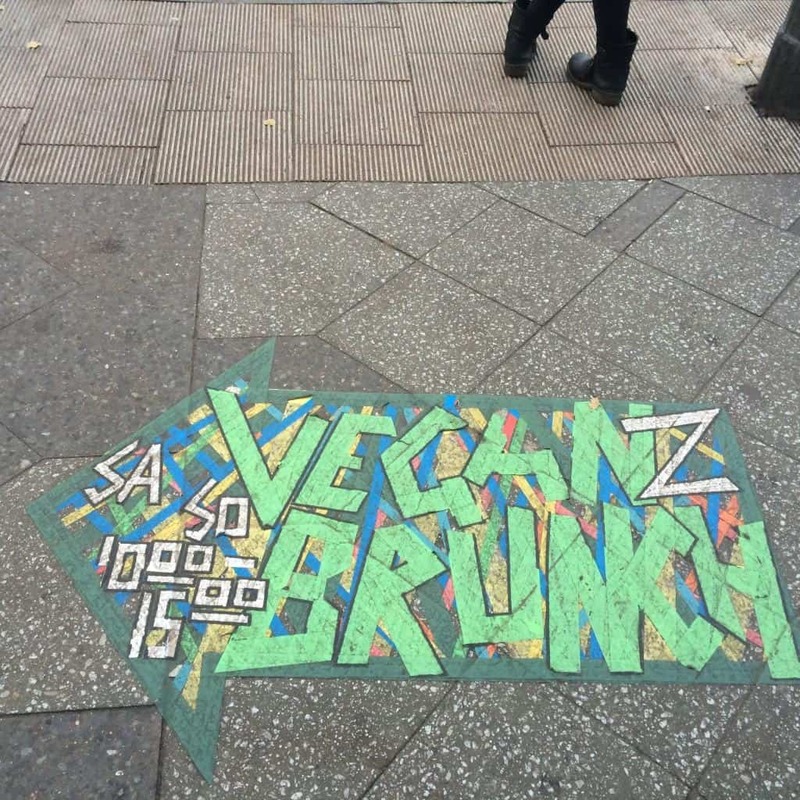 Berlin is also home to “vegan street” (Schivelbeinerstrasse), a block-long stretch in Prenzlauerberg which hosts Avesu, a vegan shoe shop, Dear Goods, a vegan clothing and bag store, Veganz, a vegan supermarket and the attached Goodies Café. Where to stay: Almodovar Hotel, a vegetarian and vegan hotel in Berlin, is the perfect spot. I got to stay here a few years ago and it was amazing. From the location (really close to lots of vegan eateries) to the organic bedding, vegetarian on-site restaurant and the cruelty-free toiletries, it’s a treat to stay here. Click here to check the latest prices and availability. Find out more: Make sure to read the continuously updated Vegan Nom Nom Berlin Vegan Guide, written by vegan Berlin resident Nicole. Taipei might not be the first city that springs to mind when considering vegan destinations, but with some reports stating that forty percent of the population practices vegetarianism at least part of the time (mainly for religious reasons, following Buddhist practices), it’s very vegetarian- and vegan-friendly. Vegetarian restaurants grace nearly every block, so you’re never far from veggie food. Buffet restaurants are popular, and for breakfast you can pick up fresh-cut tropical fruit from a market or a fruit stall on the street. Beware that mock meats may contain egg or milk extract, so best to steer clear of those and stick with well-known dishes (like vegetable or tofu) unless you can confirm the absence of animal products. Food in Taipei is also inexpensive compared to the U.S. or Western Europe, and you can dine in high-class style at Yu Shan Ge (popular with Taiwanese celebrities) and eat a 9-course meal for around $30. Where to stay: Amba, a boutique hotel in the Ximending district, was built with an eco-friendly design, using recycled pieces such as the reception desk, which is made of recycled bottles. Check the latest prices and availability here. Find out more: Check out Indefinite Adventure’s Guide to Eating Vegan in Taipei. San Francisco is home to Greens, an iconic vegetarian restaurant that’s formed part of the farm-to-table movement for over 35 years. But it’s not just San Francisco; the surrounding Bay Area is very vegan-friendly. Chow down on a cauliflower taco with vegan nacho cheese at Gracias Madre. Or, sate your sushi craving with the extensive range (way more than just avocado and cucumber maki here!) at all-vegan Japanese sushi Shizen. Need to impress a date? Award-winning gourmet vegan restaurant Millennium in Oakland should do the trick; after all, it was awarded with a 2016 Michelin Bib Gourmand. Where to stay: The Orchard Garden Hotel is an eco-friendly hotel next to Chinatown in San Francisco. The hotel has a rooftop garden and patio. Click here to check the latest prices and availability. Find out more: See how many dishes you can tick off the 100 Vegan Dishes to Try in San Francisco list. Vegan food is easy to come by and inexpensive in Budapest. Sample vegan takes on traditional Hungarian food at vegan buffet restaurant 827 Specialty Kitchen. Don’t miss Napfanyes and their huge platters full of vegan Hungarian food. Where to stay: Leonardo Hotel has a branch of vegan-friendly Hummus Bar on-site so you can just go downstairs when you fancy one of their vegan dishes. There’s a metro station nearby (8 min walk), and rooms have wifi, flat-screen TVs and mini fridges (in case you buy some vegan goodies and can’t eat them all). Click here to check the latest prices and availability. 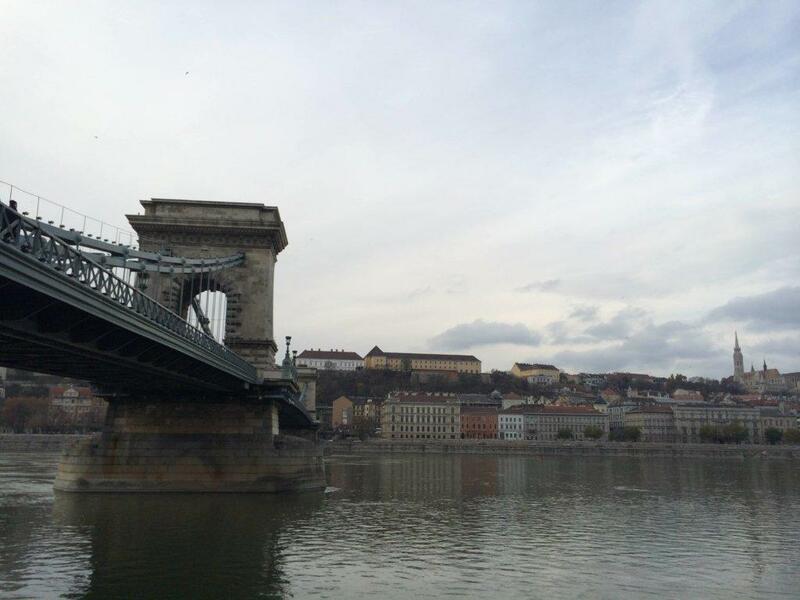 Find out more: Check out the Vegan Foodie Guide to Budapest on Elegantly Vegan. Barcelona’s vegan scene is growing quickly and surprising many in a land that worships chorizo and jamon (Spanish-style ham, which is liberally put on just about every dish in Spain). In addition to old favourites like upscale vegetarian restaurant Teresa Carles, Barcelona’s burgeoning vegan scene now counts a vegetarian and vegan pizzeria, Dolce Pizza y los Veganos, a vegan and mostly gluten-free bakery, Pastisseria La Besneta, a vegan shoe shop, Amapola, and three vegan grocery stores. 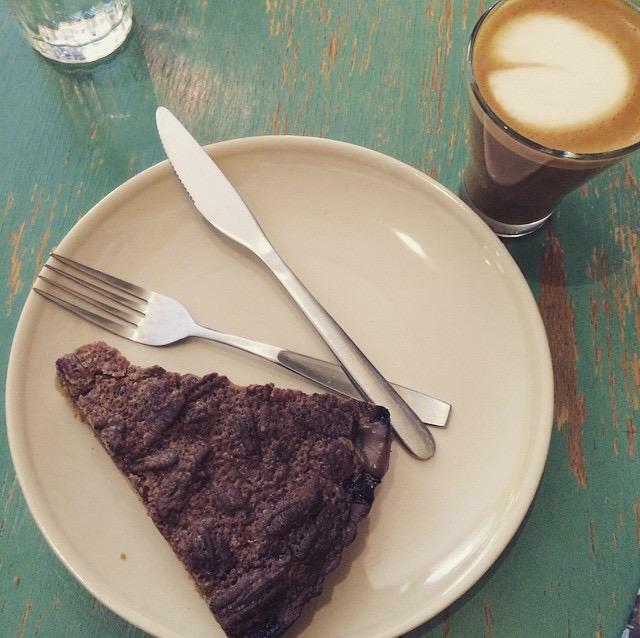 Plus there’s a growing number of raw and healthy eateries and shops like Petit Brot, Vacka and The Living Food. Not to mention the fact that in 2016 Barcelona declared itself a #VegFriendlyCity! Heading to Barcelona? Grab a copy of my guidebook, the Barcelona Vegan Guide, to discover the very best vegan bites. 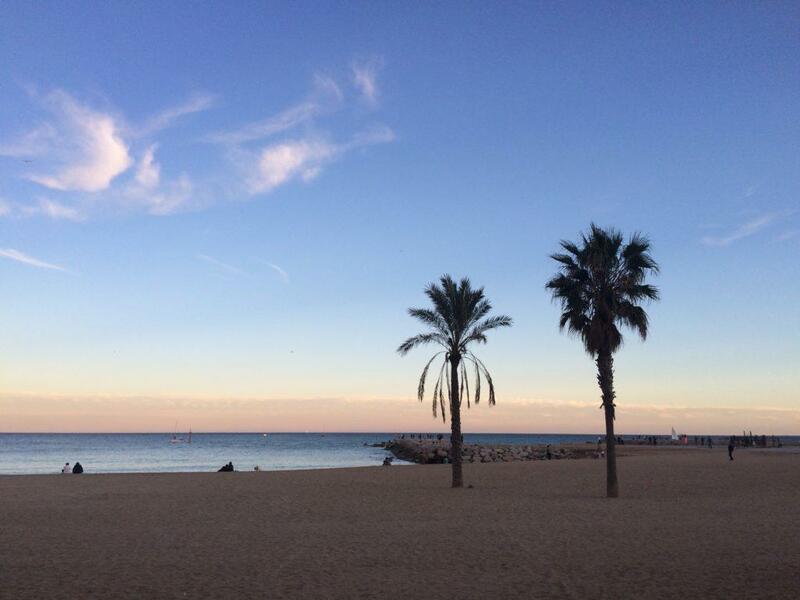 Where to stay: I’ve put together a whole guide on where to stay in Barcelona. Click here to read my Barcelona accommodation guide. Find out more: Read the Ultimate Vegan Guide to Barcelona, which I wrote after living in Barcelona and eating in all its vegan eateries. 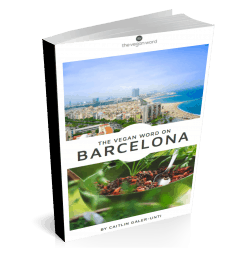 Or, buy my Barcelona Vegan Guide book. England is the birthplace of Donald Watson, The Vegan Society and the word ‘vegan’, so naturally London is host to a large vegan scene. At present, Happycow lists London as the city in the world with the most vegan restaurants (over 100). In fact, there are so many that in spite of living here on and off for a decade, I haven’t managed to try all of them. London has a thriving vegan scene, from old favourites like Manna (London’s oldest vegetarian restaurant at 50 years old, which went fully vegan years ago) to Mildred’s (an extremely popular and busy vegetarian restaurant in Soho, now with branches in Dalston, Camden and King’s Cross), to newcomers like The Blacksmith and the Toffeemaker, a pub in Central London which turned all-vegan in January 2018. London also boasts the largest vegan social group in the world, the London Vegan Meetup, plus a number of other vegan groups and events (check the vegan event calendar on London Vegan News & Events) – there’s something on nearly every day, sometimes 3 or 4 events per day! Where to stay: Temple Lodge Club is an all-vegetarian guesthouse in London. 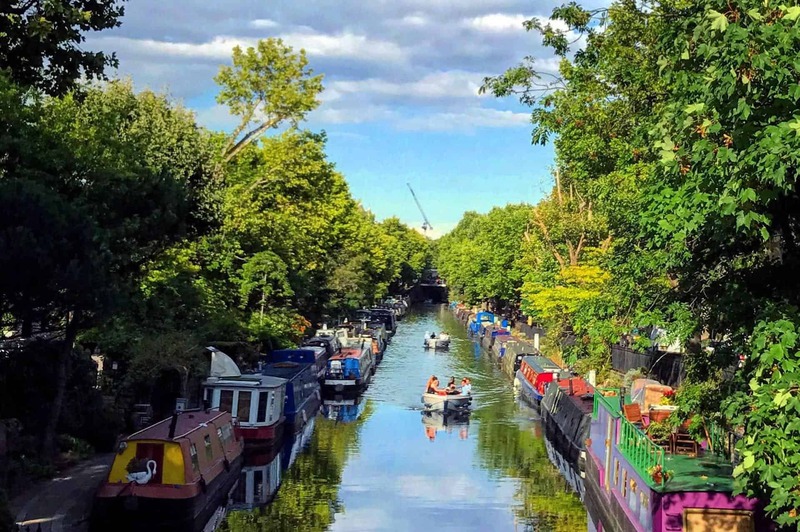 Located in West London, near the river Thames, it’s a quiet escape from the hustle and bustle of the city. 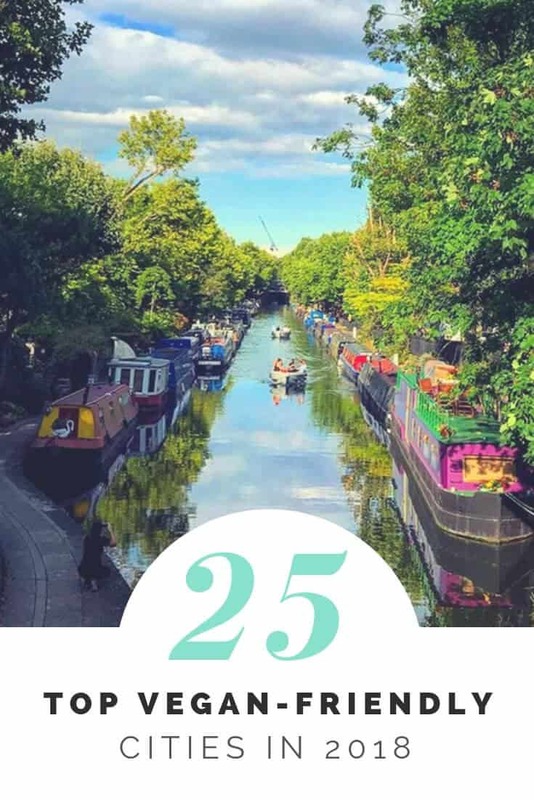 The river is a perfect place to walk (I recommended the Thames riverside walk in my alternative London guide) and the guesthouse is next to The Gate, one of London’s most popular vegetarian restaurants. Located in a well-preserved Georgian townhouse, Temple Lodge Club is just a few minutes’ walk from the station (which is served by the Piccadilly line, which runs to Heathrow, and the Circle, District and Hammersmith and City lines. Click here to check the latest prices and availability. 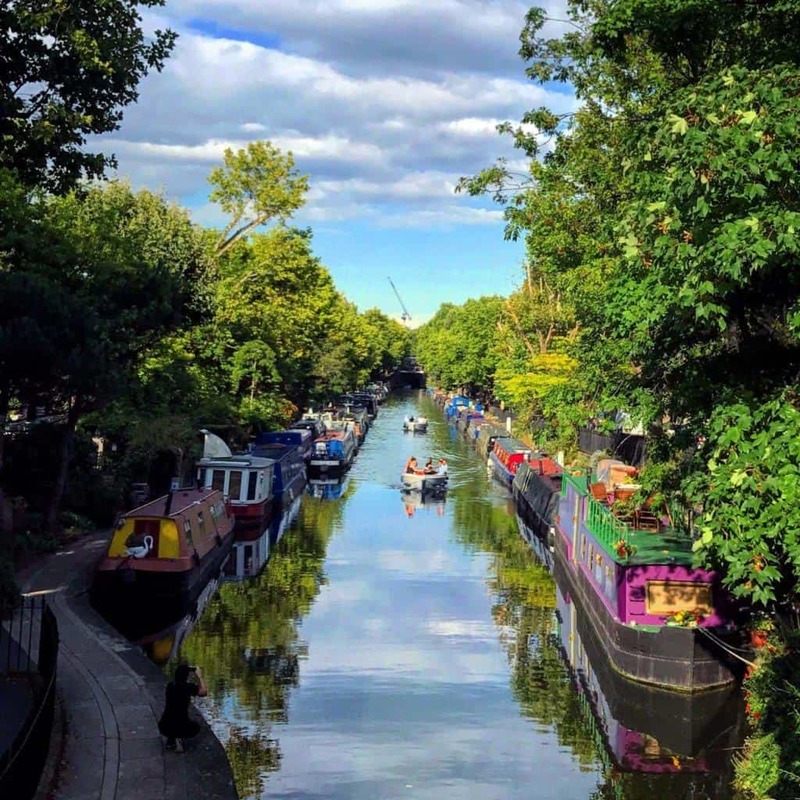 Find out more: Do something different with my Secret London Guide. The mid-sized Bavarian capital is a population destination in Germany. Whether you’re looking for fine vegan dining or casual but healthy food, you’ll find it in Munich. Even if you’re hoping to experience traditional Bavarian food, you can do so at vegan restaurant Max Pett, where you’ll find vegan schnitzel and potato salad. Planning a trip but your destination isn’t on this? Lots of cities like Athens didn’t make the list but are still vegan-friendly and I’ve got guides to a growing list of cities (see the travel guides section of my site). This post contains affiliate links, meaning I get a small percentage commission on any bookings you make through them, at no extra cost to you. As always, I only recommend products and services I use and love or would love to use. Thanks for your support. Thanks for referencing my blog twice here, Caitlin! This is a really nice list, with some surprises I wouldn’t have thought of, like Bangalore and Sao Paulo for example – who knew?! So exciting that more and more places around the world are embracing veganism! I’m happy to confirm that veganism is booming in Sāo Paulo, which is where I live. Also I want to try those Polish burgers. Yeah, they sound so good! Seriously Boston, step it up please!!! How long do you think it will be before you’ll have to increase it to 50 vegan-friendly cities?? It’s so exciting to see how the vegan movement is booming around the world! Surprised Edinburgh does not feature here! How current is this list? Thank you for sharing our post about Warsaw! There were definitely some surprises on this list that we’ll be excited to check out. It is always great to see how veganism is spreading around the world! Thanks for curating this list of vegan-friendly cities. Any advice on Greece ? We are planning a family holiday next year but it is never reviewed anywhere. Barely anything on the happy cow app. Thanks for creating this list. I suggest changing the photo for Portland, Oregon. 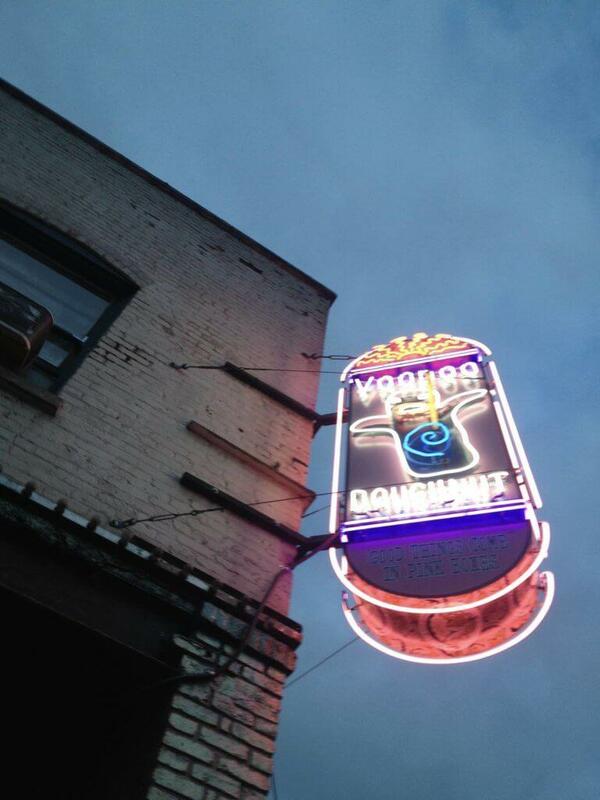 Voodoo Doughnut has vegan doughnuts, but most of their doughnuts are not. Missed the US Virgin Islands! We only have ~100K people so super easy to calculate. Delicious ital and vegan food. Surprised to not see Melbourne on here, Sydney is catching up too. So wonderful that there are too many vegan friendly cities to fit on the list though! I am surprised that not a lot of Asian cities head the list considering the fact that for a long time, people in Asia stuck to eating a vegan diet. I guess the Western style of food eliminates many of those cities from your list. Netherlands, for reasons close to heart. Amazing list. 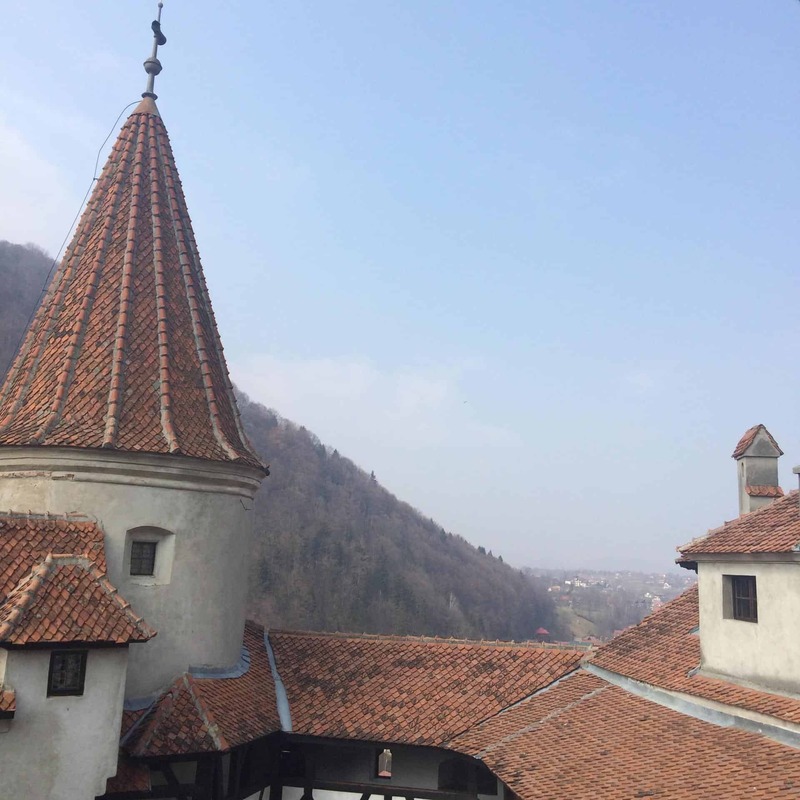 Great guide but you forgot Ljubljana! Population of just over a quarter of a million, and five dedicated vegan eateries in the city, with loads more offering vegan options! Slovenia’s entire population hovers around the 2 million mark, and practically everywhere you go, you can get a vegan meal. I lived there for a couple of years, and was in my element! Local supermarkets even stock their own ranges of vegan convenience food, plus they import a lot from Germany and Italy. It’s a similar story in Croatia, and Serbia is getting there too. Even when in Transylvania, I had no problem finding vegan food in the cities! When I returned to Britain a year ago, after years of living around the world I discovered that despite all the progress it’s made during my absence, it’s still a long way behind much of mainland Europe, which is why I wasn’t at all surprised to see London so low on the list! Lovely to see my friend, Dee’s Chiang Mai guide get a mention – I have many fond memories of us checking out all the local jay eateries! Hi, I just noticed that Let it Be in Berlin has since closed. You’ll need to update your review.